Stephanie started making wine when she was nine years old at her parent’s winery and vineyard at Helm Wines. During her school years she produced award winning Trophy, Gold, Silver and Bronze wines under her own label—the Stephanie Collection. Stephanie went on to complete an Arts/Law degree at the Australian National University while continuing to help at the family winery. In 2011, Stephanie realised her true passion was wine and began a Bachelor of Wine Science at Charles Sturt University, making the Dean’s list in her first year. 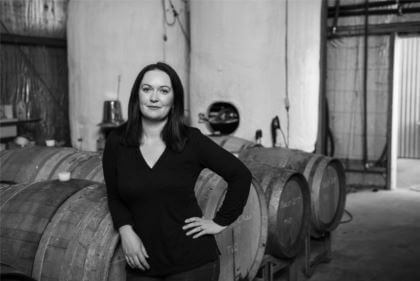 Stephanie continues to assist her father Ken Helm—owner and winemaker at Helm Wines, Murrumbateman—while pursuing her unique style of wines at The Vintner’s Daughter. 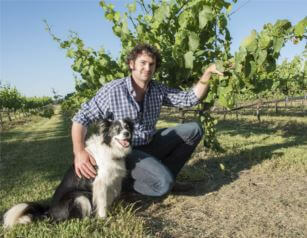 Benjamin Osborne, a qualified horticulturist and landscaper has been the vineyard manager at Helm Wines for ten years. Benjamin is a perfectionist and is meticulous about his care of the vines to ensure full‑flavoured disease-free fruit. Benjamin has worked hard to bring The Vintner’s Daughter vineyard up to his high standards and is experimenting with natural methods to improve vine health e.g. through incorporating cover crops between the rows and the integration of sheep in the winter vineyard to fertilise and maintain weeds. The Vintner’s Daughter creates unique wines that reflect the land or ‘terroir’. We are about quality not quantity and so you won’t find our wines in supermarket bottle shops. Our wines are made as naturally as possible with minimal intervention from the winemaker—we prefer to let the grapes tell the story. To make great wine you must start with great fruit. All of our fruit is hand-picked and grown to maximise varietal flavour. The wines are made using the traditional methods Stephanie learnt from her father alongside modern methods learnt through her studies. The whites are cool‑fermented in stainless steel so as to preserve the aromatics and flavours of the fruit, without the distraction of oak. Our reds are fermented with a mixture of whole bunch and lightly crushed berries and matured in new and old oak casks for 12-18 months. Oak casks not only add flavours and aromas to the wine but they also allow for controlled micro-oxidation adding further character and complexity to the wine. The vineyard is located in the Canberra Cool Climate Wine District at Murrumbateman. 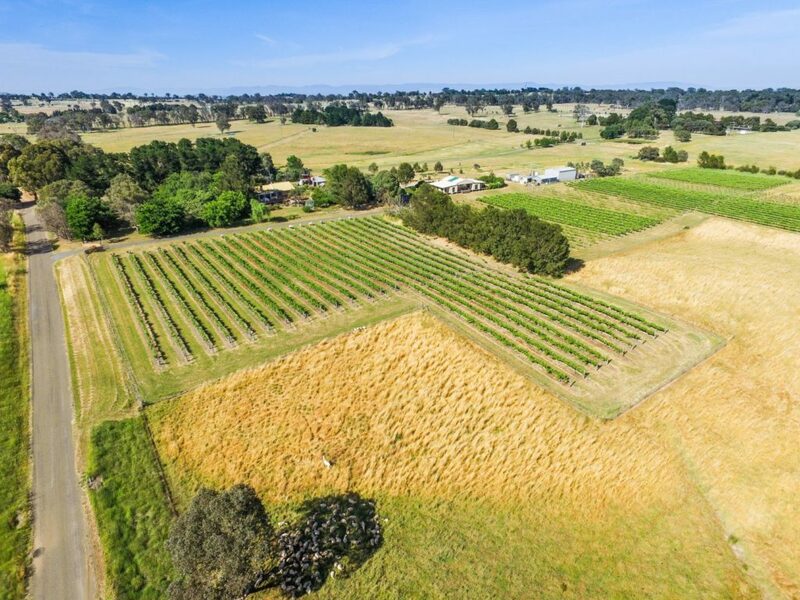 The vineyard was one of the earliest in the district, having been originally established in 1978 by Mr Peter Griffith with plantings of Traminer, Crouchen and Riesling. 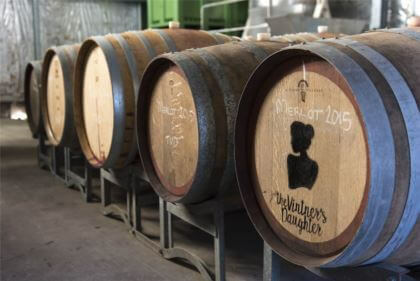 Anne Hillier and Mick Withers purchased the property in 1991 and ran a winery/cellar door and café on site known as Yass Valley Wines and Crisps Lane Café respectively. They extended the vineyard plantings to 3ha in 1999 with Riesling, Shiraz, Merlot, Viognier and a number of other experimental varieties. 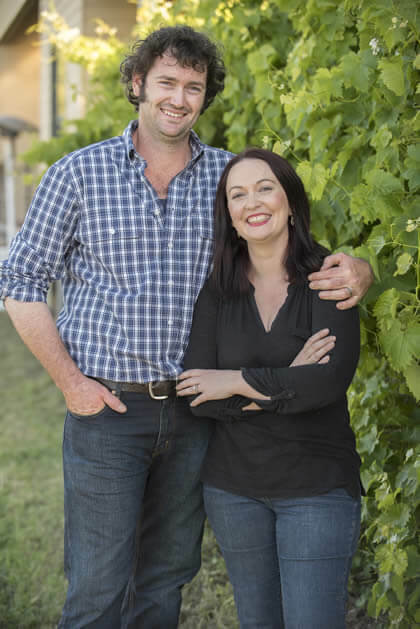 Benjamin and Stephanie purchased the property in 2014 and have worked hard to reinvigorate the original vines and have grafted some vines to Pinot Noir and Shiraz. The vineyard is perfectly situated on a small sloping rise which allows for good cold-air drainage and helps to protect against spring frosts. It is next door to some of Murrumbateman’s most renowned wineries including Clonakilla and Eden Road. The soils are ancient, granite based volcanic soils with sandy loam over a red (iron oxide) rich clay subsoil. The Canberra District is fortunate in having a high number of sunlight hours, hot to warm summers and long cool autumns which perfectly favour grape ripening and intense flavours.